A representative for George Michael has reached out to fans to assure them the singer is fine and well after false reports suggested he had died in a jet ski crash. The former Wham! star became the subject of frenzied online speculation on Friday amid allegations he had passed away during a vacation on the Turks and Caicos Islands. Michael is the latest star to become the subject of an online death hoax – Justin Bieber, Eddie Murphy, Morgan Freeman and David Beckham have all been hit with similar false rumours in recent months. 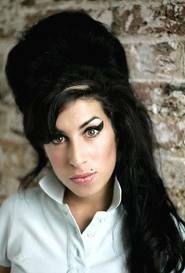 Hundreds of fans of tragic singer Amy Winehouse held a vigil outside her London home on Saturday night (July 23) as representatives for the star told of their “shock and devastation” at her death. Tearful fans of the Back to Black hitmaker flocked to her apartment in north London hours after the star was found dead there on Saturday afternoon. Winehouse’s father, Mitch, who three years ago (08) revealed his “biggest fear” was that his daughter would die from complications relating to her emphysema, was reportedly informed of the tragedy as he boarded a flight in the U.S. He is now returning to Britain. 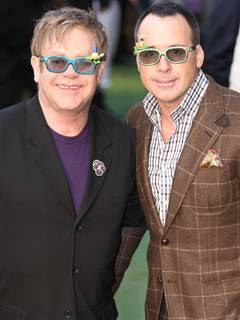 Sir Elton John Nominated For "Dad of the Year"
Sir Elton John and his partner David Furnish will compete against soccer star David Beckham and singer Rod Stewart to be named Britain’s Dads of the Year. Sir Elton and Furnish, who welcomed baby Zachary last Christmas (10) with the help of a surrogate mother, are the first gay couple to be shortlisted for the Premier Inn Celebrity Dad of the Year prize. Australian singer Peter Andre, who took the title last year (10), has also been nominated, along with British pop star Gary Barlow. A spokesperson for the contest says, “Peter Andre, the reigning champion, has once again made the shortlist so it will be interesting to see if he can become the first dad to win the title two years in a row.” The winner will be determined by public vote and announced on Britain’s Father’s Day next month (19Jun11). Elton John, the Beckhams and many more notable attendees at the royal wedding. Prince William has banned celebrities from performing at his wedding, according to reports. William, 28, and Kate, 29, have reportedly decided they don’t want any stars singing when they marry on April 29 at Westminster Abbey. They have even decided not to let legendary singer Elton John perform. Instead they are opting for traditional church music. According to Scottish newspaper the Daily Record, a source said: ‘There will be no celebrity performers, just a choir and an organ. Some of the celebrities thought to be invited to the wedding include David and Victoria Beckham.